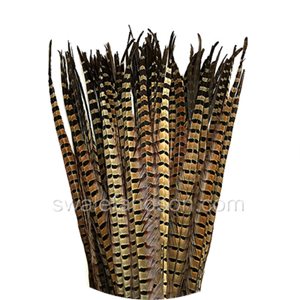 We carry feathers and pelts from five kinds of pheasants. They all have many uses from tying fishing flies to making jewelry. 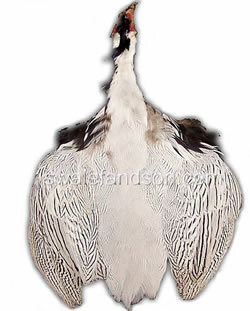 Most pheasant pelts are available in #1 and #2 qualities. 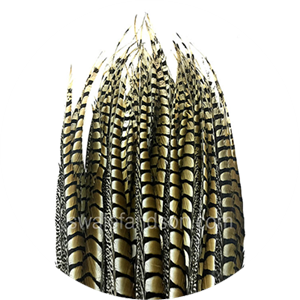 If you plan to pluck the feathers from the skin, #2 quality would be best. 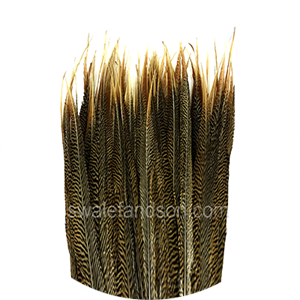 The feathers are still in good shape and the pelts are cheaper. 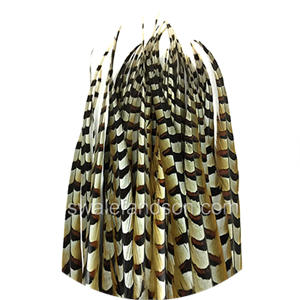 If the pelt is to be used whole, our #1 quality pheasant pelts are the best available.